The perfect team - Professionalism combined with kindness and a passion for teaching yoga. Susan's curiosity about yoga as a healing practice and dynamic movement meditation brought her to the mat in 1996, propelled her to seek her teaching certification in 2005, and led her to creating a yoga sanctuary as a studio owner in 2009. Susan offers her students a beautiful Prana Vinyasa yoga practice complemented by meditation, mantra, and MUSIC!. Her primary vision for her teaching is to create an authentic experience for her students, to truly help them to listen and respond organically to the cues from their body, and flow into a deeper connection with their highest selves. 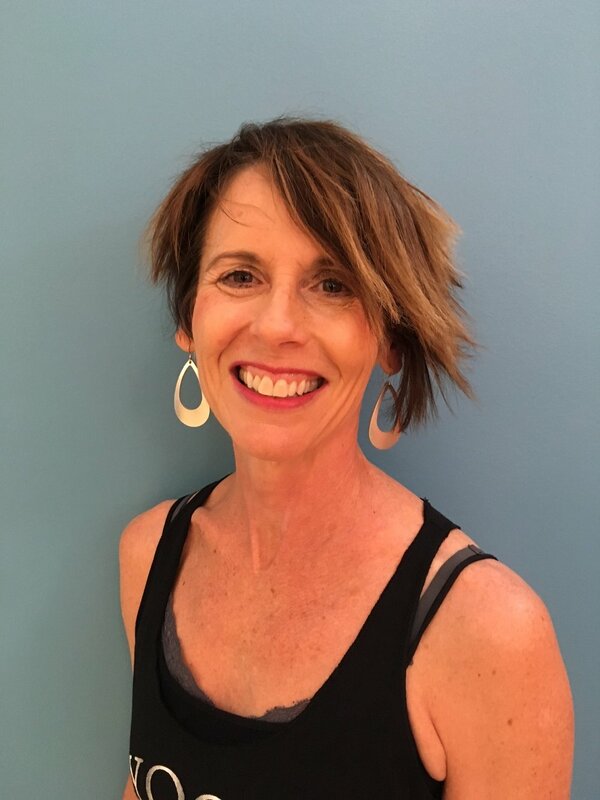 Susan's style of teaching is most influenced by Shiva Rea, her root teacher, and she completed her advanced 500-hr training in Prana Vinyasa Flow™ with her teacher, having already received a primary 200-hr vinyasa training at Yoga West of Houston in 2005. Susan was drawn to Prana Vinyasa's fluid, organic, and grounded style of yoga, and the beautiful feeling state, or bhava, that she experiences after teaching each class. She has also trained with Dr. Vasant Lad, Rod Stryker, Max Strom, Sally Kempton, Eric Small, Sherry Brourman, Doug Keller and Jnani Chapman. Susan received mantra and sanskrit training from the late Thomas Ashley Farrand, and as an accomplished singer and musician, she has been honored to provide vocal and harmonium accompaniment for the internationally celebrated kirtan musician, Girish, for several of his concerts here in Kansas City. She provides live music for all of her classes, and released her first yoga CD, "RELEASE", in 2013. She feels blessed to combine music and yoga in bhakti service to our Yoga Liberty students, and pays homage to her teachers and guides that have brought her to this beautiful yogic journey. Much love, pranams, and a heart overflowing with Gratitude! Lauri has always enjoyed being physically active and spiritually curious. She started her yoga practice in January of 2000, beginning with the Hatha Yoga forms of Ashtanga and Bikram. In March of 2003, Lauri started practicing Anusara yoga with teachers, Sujata Stephens and Nancy Bounds. 2009 lead her to an introduction to Shiva Rea’s Vinyasa Flow with Gina Caputo at Kansas Siddhi (Sage) yoga in downtown Kansas City. Lauri undertook her 200 hour teacher training with Gina in 2010. After completing the program, she was grateful to have the opportunity to begin teaching yoga classes at Zona Yoga of Zona Rosa. Lauri has taught corporate classes for Helzberg Jewelers, Smithville school district teachers, Children's Mercy Hospital and Kansas City Metropolitan Public Library. Lauri continued her teacher training and completed the 300 hour curriculum with Gina at Colorado School of Yoga in 2015 and is now a 500 Registered Yoga Teacher with Yoga Alliance. Currently, she is excited to offer both Vinyasa Flow and Hatha Flow foundation classes for Yoga Liberty. Lauri lives her yoga practice and tries to infuse her classes with the joy that comes from looking deep inside one’s heart to truly uncover our universal spiritual connection. Come take a class ya’all! Jamison is an insightful and imaginative yoga teacher who has practiced a wide range of yoga styles. Her classes aim for a balanced combination of work and play. She is skilled in making alignment make sense and focusing on the fundamentals of practice. She is able to develop outstanding yoga foundations for beginning students and modify poses for prenatal students to facilitate a deeper connection to the changes occuring during pregnancy. Her classes are known for the laughter and playfulness that she encourages in her students. Jamison is a certified yoga teacher from Green Tara Yoga in Upland, California. She is 500 level certified through Yoga Alliance. She is certified to teach all levels of yoga as well as prenatal yoga. She believes everyone could benefit from having yoga in their life and she feels she is blessed to be a teacher who is always learning. Kristen has a love for learning and for teaching. She came to yoga as a way to gain strength and flexibility, and to balance her active lifestyle as a runner. Since then, her practice has grown to a lifelong journey toward health and wellness. Yoga has brought Kristen a sense of balance in a sometimes chaotic world. She enjoys sharing the feeling of well-being with her students. Kristen has been an elementary school teacher since 2006, and has a passion for developing well balanced, physically and emotionally healthy children. She uses this passion to drive her yoga instruction from a place of compassion and understanding. Her classes are therapeutic in nature, taking cues from the Iyengar Style of yoga, focusing on correct body alignment and healing. Kristen currently studies with Suzette Scholtes at The Yoga School of Therapeutics, through which she has also spent time in teacher trainings and workshops with Aadil Palkhivala, Doug Keller, and Judith Hanson Lasater. Linda has a passion for teaching yoga and sharing this journey with others. She loves teaching beginners who are just beginning their yoga journey. Her love of mysticism, mythology and mantra is infused into her classes. She believes that the connection between body, mind and spirit is the way to live a balanced life. She lives in Liberty, Missouri with her husband Jamiel. She has two grown children who love to travel and two dogs who love to stay at home! Linda received her 500 hour certification from Alanna Kaivalya and her 200 hour certification from Gina Caputo and Sarah Kucera. She has also studied with Max Strom and Lee Holden, earning a 200 hour certification in Qi Gong. Her classes emphasize the movement of energy and our connection to the elements. She also includes the use of accupressure points for health and wholeness. She is a Life ForceEnergy Healer, Spirit Guide Coach, Chakra Therapist and Astrologer. Brena was introduced to yoga by friend, Susan Harp. She enjoyed it more than expected which led her to a journey of deepening her practice and education. She has dedicated herself to completing a 200 hr training with Kansas City Yoga Teacher Training, an additional 200 hr training with Max Strom, and has a Level 2 Yin Yoga Certification with Carole Westerman. Brena enjoys teaching, practicing, and meditation. For her the best part of yoga has been discovering that yoga is for everybody and every body. She will be introducing our new Yin Yoga class to the fall schedule! Sara studied Criminal Justice and Literature at Central Missouri State University and came to yoga through a shoulder injury about ten years ago. She was a competitive swimmer throughout her teenage years, and after injuring her shoulder and being unable to get back in the pool, she walked into a beginner's yoga class. Part of her was just curious. Part of her hoped it would help her shoulder in which had little strength and very limited movement. Part of her just wanted to get away from the baby at home for an hour. 6 months later, she was back in the pool and was hooked on yoga. Fast forward 10 years. Unhappy in the corporate world, she decided that she wanted to give teaching a try. She got her 200 teacher training with Max Strom and chose to quit her job and teach yoga full time in the summer of 2017. The more she taught, the happier she became. The more connections she made in the yoga community, the calmer and more content she became. The journey is just beginning. She wants to teach and learn every day. Most of all, she wants to bring a bit of yoga to everyone. Maybe not in the form of a headstand. Maybe by looking into a stranger's eyes and smiling at them, making a human connection. She loves laughter and it is a focus in her classes. She loves finding the verbal cues that create those aha moments for students, finding the safest, most effective expression of a pose for each individual. She loves that she learns from every student every day!